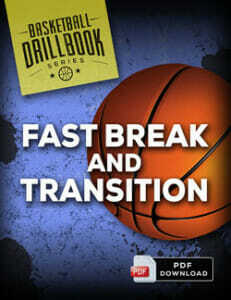 This is a Great conditioning and ball handling drill that teaches toughness and how to handle multiple dribblers. Time is placed at 6-8 minutes and athletes are required to defend 3-4 dribblers back to back until all have been defenders. Each defensive player defends every player once. When the first player gets to the end, the next goes immediately. 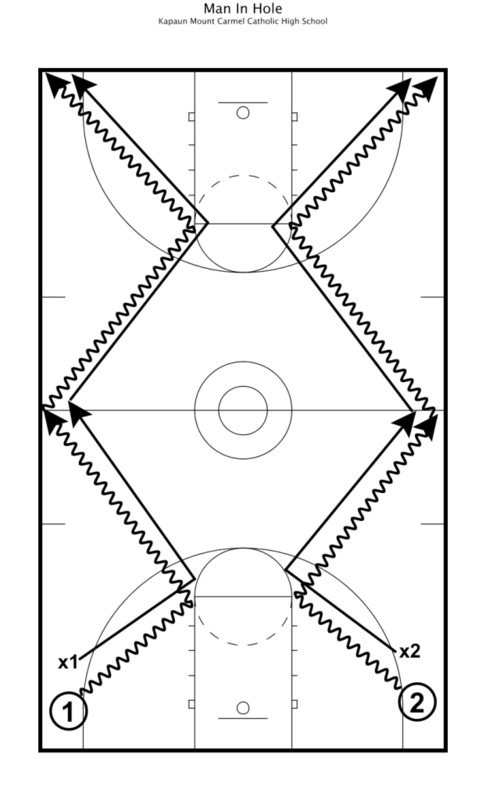 A little twist on this drill is having the defenders hold a basketball and push on the dribbler in the defensive stance trying to knock the dribbler off balance. The ball must stay in contact with the dribbler at all times or that one dribbler gets reset to the beginning and the defender has to start over with that dribbler.